This spring’s big Destiny update will offer new bounties, quests, and a new mission set after the fall of Oryx. It’ll also take us all back for a ride on the Light treadmill, bumping the level cap up to 335. On a Twitch stream today, reps for Bungie talked about the new update, which goes live on April 12. It seems like it’ll offer some badly needed refreshments to the game, adding a new section to the Prison of Elders as well as bounties and quests that will take us back to the horde mode that was introduced last year. In addition to a new (matchmade) “level 41" version of POE, Bungie is adding a mode called Challenge of the Elders that sounds a lot like a PVE version of Trials of Osiris. This is where we’ll get past 320 light. The scores are calculated by fireteams, so your team’s success is what matters here. When you hit those point totals, Bungie says, you’ll be able to collect rewards from Variks. You’ll have seven days to do it; the scorecard will reset every week. 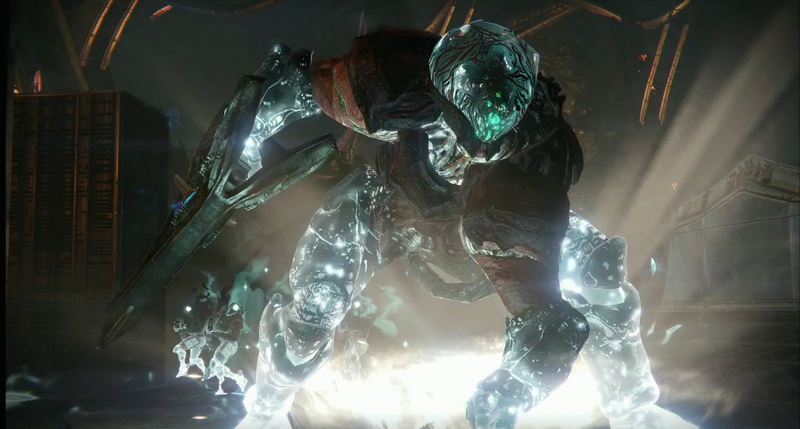 There’ll be a new strike that pits players against a big boss named Malak, pictured on top of this post. He’s apparently a Taken creature that wants to pick up where Oryx left off. The new update will also come with a bunch of new quality-of-life improvements and a Takenified version of the old Archon Priest strike. There’s also a new PlayStation-exclusive quest (ugh).